Everyone has their one or two things in a game that they just cannot do. I have a lot that I struggle with, but my single greatest Achilles’ heel might be my laughably bad ability to aim at anything, especially when either myself or that thing is moving. Now, a good shooter will not only require your ability to shoot at things. 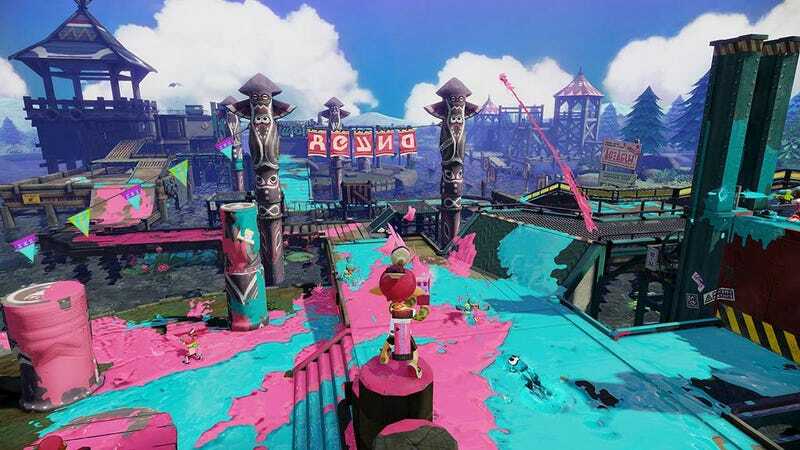 In games such as Splatoon, the difficulty comes not from just shooting at stuff, but from spreading ink everywhere. In this way, those like myself can still contribute outside of combat by simply covering the floor, and it’s made even better by weapons such as the splat roller that don’t require shooting at all! This carries over to the single-player campaigns, where you’re more often asked to complete a certain objective than just shoot a bunch of guys, although that’s certainly an element. In a very different shooter, both tonally and mechanically, The Last of Us requires a lot more precision. And at the beginning, it gave me a lot of trouble, as I was dying over and over again to the same enemies. But eventually, I realized that there were things I could do to make up for my poor aiming. I could sneak around enemies and strangle them, throw a molotov, or just sneak right past them without ever getting caught. In this way, navigation and conservation of resources was just as important as being a good shot, and while The Last of Us was still tough as nails for me on normal difficulty, (I died 214 times!) I was still able to beat it. What’s your achilles’ heel in video games? Let me know in the comments below!